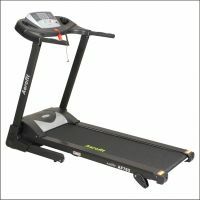 Aerofit's 709, 716, 763, 778 are the top rated domestic motorised treadmills with powerful motor. You can see list of our AF-709 vs AF-716 vs AF-763 vs AF-778 below, perform Side-by-Side comparison. If you need further help, do have a look at Conzumr Guides and Tips. Alternatively you can view all Treadmill to choose your own favourites. 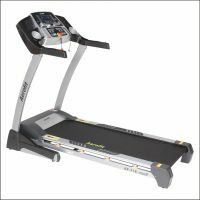 Aerofit Treadmill Is Built To Withstand Constant Pounding And Jarring. Each Motor Is Protected By P.W.M. (Pulse Width Modulation) Technology And Air-Cooled For Efficient Performance. Multi-Ply Tread Belts Are Fusion-Seamed For Strength, Flexibility And Smooth Travel Over The Phenolic Deck. Poly-V Belt Drive System Delivers An Amazingly Quiet Workout Experience, Allowing You To Watch TV Or Read A Book Without Being Distracted By Machine Noise. Case Hardened Steel Large Diameter Crown Rollers With A Wide-Radius Crown Drastically Decreases Wear & Tear, Substantially Increases Surface Contact And Provides Superior Belt Tracking. 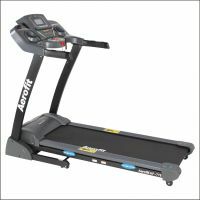 Aerofit Treadmill Is Built To Withstand Constant Pounding And Jarring. Each Motor Is Protected By P.W.M. (Pulse Width Modulation) Technology And Air-Cooled For Efficient Performance. The ‘Aerofit’ Treadmills offer you a top quality workout! ‘Aerofit’ treadmills are built to perform to the scrutinizing standards of commercial health club equipment. Compare the features of the ‘Aerofit’ treadmills, and you will find how quality components, precision engineering, state-of-the-art electronics and the best warranty in the industry combine to make ‘Aerofit’ treadmills the premier name in home cardio and fitness. The ‘Aerofit’ Treadmills offer you a top quality workout! ‘Aerofit’ treadmills are built to perform to the scrutinizing standards of commercial health club equipment.Compare • the features of the ‘Aerofit’ treadmills, and you will find how quality components, precision engineering, state-of-the-art electronics and the best warranty in the industry combine to make ‘Aerofit’ treadmills the premier name in home cardio and fitness. 14 Programs, 12 preset, 1 Fat & 1 manual. AF 709 : 14 Programs, 12 preset, 1 Fat & 1 manual. 19 Programs, 15 preset, 3 users , 1 fat & 1 Manual. AF 716 : 19 Programs, 15 preset, 3 users , 1 fat & 1 Manual. 17 Programs, 15 presets, 1 manual and 1 fat. AF 763 : 17 Programs, 15 presets, 1 manual and 1 fat. 14 Programs, 13 preset, 1body fat 1manual. AF 778 : 14 Programs, 13 preset, 1body fat 1manual. Heart rate, elevation, time, distance, speed, calories and programs. AF 709 : Heart rate, elevation, time, distance, speed, calories and programs. Pulse, elevation, time, distance, speed, calories and Programs . AF 716 : Pulse, elevation, time, distance, speed, calories and Programs . Heart rate, time, distance, speed and calories. AF 763 : Heart rate, time, distance, speed and calories. Heart rate, elevation, time, distance, speed, calories and programs. AF 778 : Heart rate, elevation, time, distance, speed, calories and programs. CD/MP3 and water bottle. AF 716 : CD/MP3 and water bottle. In-built speakers with audio input and head set jack. AF 716 : In-built speakers with audio input and head set jack. 2 Wheels transportation system for easy movement. AF 709 : 2 Wheels transportation system for easy movement. 2 Wheels transportation system for easy movement. AF 716 : 2 Wheels transportation system for easy movement. Time, distance and calorie can be manually set as per user requirement. AF 709 : Time, distance and calorie can be manually set as per user requirement. Yes, time, distance and calorie can be set as per user requirement, after completion of preset state machine will get stop. AF 716 : Yes, time, distance and calorie can be set as per user requirement, after completion of preset state machine will get stop. Time, distance and calorie can be manually set as per user requirement. AF 763 : Time, distance and calorie can be manually set as per user requirement. Heavy-gauge welded steel with textured proprietary two coat electro statically powder process finish to ensure minimum corrosion and chip resistance. AF 709 : Heavy-gauge welded steel with textured proprietary two coat electro statically powder process finish to ensure minimum corrosion and chip resistance. Heavy-gauge welded steel with textured proprietary two coat electro statically powder process finish to ensure minimum corrosion and chip resistance. AF 716 : Heavy-gauge welded steel with textured proprietary two coat electro statically powder process finish to ensure minimum corrosion and chip resistance. Heavy-gauge welded steel with textured proprietary two coat electro statically powder process finish to ensure minimum corrosion and chip resistance. AF 763 : Heavy-gauge welded steel with textured proprietary two coat electro statically powder process finish to ensure minimum corrosion and chip resistance. 54 " AF 709 : 54 "
55 " AF 716 : 55 "
50 " AF 763 : 50 "
53 " AF 778 : 53 "
18 " AF 709 : 18 "
19 " AF 716 : 19 "
17 " AF 763 : 17 "
18 " AF 778 : 18 "
In-built FM. AF 763 : In-built FM. Spring Cushions with matt pads / Anti shock.. AF 716 : Spring Cushions with matt pads / Anti shock..
8-Point deck suspension. AF 763 : 8-Point deck suspension. Magnetic safety key. AF 709 : Magnetic safety key. Magnetic safety key. AF 778 : Magnetic safety key. System shutdown display under 10 minutes if no instruction input, press any key to restore system. AF 709 : System shutdown display under 10 minutes if no instruction input, press any key to restore system. System shutdown display under10 minutes if no instruction input, press any key to restore system. AF 778 : System shutdown display under10 minutes if no instruction input, press any key to restore system. DC Motor, 2.5 HP continuous, 5.0 HP peak, digital concepts P.W.M. control. AF 709 : DC Motor, 2.5 HP continuous, 5.0 HP peak, digital concepts P.W.M. control. DC Motor, 2.5 HP continuous, 5.0 HP peak, digital concepts P.W.M. control. AF 778 : DC Motor, 2.5 HP continuous, 5.0 HP peak, digital concepts P.W.M. control. Digital concepts P.W.M. control. AF 709 : Digital concepts P.W.M. control. Club-rated digital concepts P.W.M. with fuse less current limit and dynamic short circuit protection. AF 716 : Club-rated digital concepts P.W.M. with fuse less current limit and dynamic short circuit protection. Digital concepts P.W.M. control. AF 778 : Digital concepts P.W.M. control. 56 " AF 716 : 56 "
42 " AF 763 : 42 "
56 " AF 778 : 56 "
71 " AF 709 : 71 "
73 " AF 716 : 73 "
63 " AF 763 : 63 "
72 " AF 778 : 72 "
29 " AF 709 : 29 "
30 " AF 716 : 30 "
28 " AF 763 : 28 "
28 " AF 778 : 28 "
To Recieve updates and possible rewards for Aerofit AF 778 please sign in. 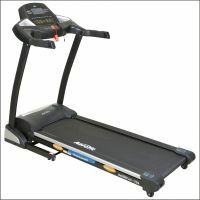 To Recieve updates and possible rewards for Treadmill please sign in.